Jean Grey completes her comeback year when she ascends to the top of the Fantasy Comic League power rankings for the first time. 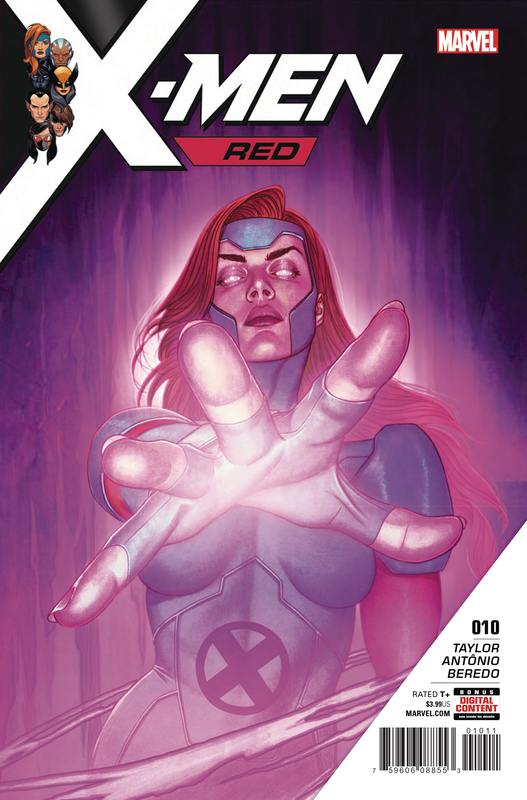 Since her resurrection at the beginning of 2018 and through her leading role in X-Men: Red, Jean’s stock has been on the rise. The elder Jean, despite lagging behind some of the other X-mainstays such as Storm, Rogue and Kitty Pryde, now surpasses her younger self in the overall standings. Jean’s first “Hero of the Week” title is a strong 16-point performance, which also marks the first time she has scored double digits. The Immortal Hulk, another character proving difficult to kill, follows in second with his own personal best. He also earns double digits, 13 points, for the first time in his Fantasy career. Continuing the theme, Iceman finishes the week in third with his own top performance, although Bobby earns his 10 points after only appearing in the league four four weeks in 2018. Spider-Man, Iceman’s “Amazing Friend” joins him in third, with Deadpool tagging along as well. Doctor Strange teleports into Deadpool for a quick cameo to push his weekly score to seven and snag sixth place all on his own. Nightcrawler, Marvel’s most famous teleporter, features in the two big X-Men books of the week, and ties with Daredevil for seventh place and six points. Daredevil is one of several heroes to be out of their element in the first week of November. He wakes up with no memory of the world around him in Marvel Knights 20th, where Punisher shows up to jog his memory. Frank Castle rounds out the top performers along with Carol Danvers, Riri Williams and Miles Morales; they all score five points. Ironheart is the lone Champion to realize the team is living in a different reality in Weirdworld.